Breaking down on the side of the road is something every driver dreads. However, in addition to the inconvenience alongside the high costs of a tow and vehicle repairs, it can put you and your passengers at serious risks. Particularly if you break down in your lane and are not able to safely pull off, just sitting there makes you vulnerable to car accidents and injuries. This is exactly what happened recently on Interstate 75 near Bradenton. When a truck stalled during traffic, it led to a chain reaction that left multiple drivers injured and resulted in one fatality. On January 9, 2019, the Bradenton Herald reported on a multi-vehicle accident that occurred shortly after 9:00 a.m. in the southbound lanes of I-75, on the Caloosahatchee Bridge in Lee County. A tractor trailer was stalled in the outside lane when a Nissan Ultra carrying three unnamed passengers – a 24-year-old man, a 16-year-old girl, and a 9-month-old baby – approached from behind. As the Nissan reduced its speed in response to the breakdown, it was struck from behind by 58-year-old Johnny Coleman of Port Charlotte, who was driving a 2018 Ford van. The impact sent the Nissan crashing into the rear of the trailer, before skidding alongside a barrier and slamming into the front portion of the truck. Investigators claim that all three of the passengers in the Nissan suffered severe injuries as a result, with the 9-month-old being listed in critical condition at a local hospital. After striking the Nissan, Coleman’s van continued to slam into the backside of the truck, going partially underneath the trailer where it became wedged and caught on fire. Coleman, trapped in the vehicle, died at the scene. The driver of the truck itself was uninjured and police are continuing to investigate the crash. Anytime unexpected events occur on the road, such as a breakdown, there is always an increased risk for car accidents. Determining blame in these crashes can be tricky. Did the driver of the truck perform proper maintenance prior to the trip and do what they could to alert others of the breakdown? The driver of the Nissan did what any driver should do when they spot an obstacle in the road-proceed with caution. Unfortunately, an investigation may eventually reveal that the driver behind them was engaged in what the National Highway Traffic Safety Administration considers risky driving behavior, such as speeding, which leaves little time to respond to changes, or distracted driving, which prevents drivers from noticing obstacles in the road until it is too late. 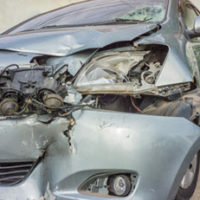 Determining who is to blame for an accident is not always easy, but it is key to getting the compensation you need to recover. At the Law Office of Steven G. Lavely, our experience in investigating crashes helps you get the answers you need. To request a consultation about your case, call or contact our Bradenton car accident attorney online today.